Did you dig this year’s Locust Moon Comics Festival poster, drawn by 36 LESSONS IN SELF-DESTRUCTION‘s Rob Woods? Well, now you can wear it on a shirt! Our volunteers were lucky enough to be rocking these babies on the day of the fest, and a bunch of people asked us where they could get some for themselves. Well, now they’re available to everyone! Like, for example…you? Click here for men’s shirts, and here for women’s. Just $15 a pop for some really nice quality tees. 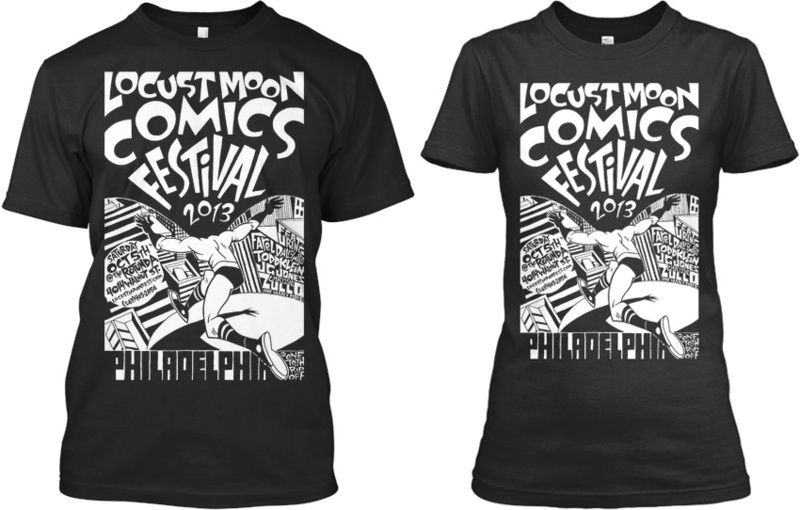 This entry was posted in Conventions, Store Events and tagged locust moon comics festival, locust moon fest, locust moon swag, t-shirt. Bookmark the permalink.